Chandler, Ariz.-based Wallace Plese + Dreher (FY17 net revenue of $8.4 million) announces the admission of Christopher T. Coots to the partnership. Coots has more than 20 years of professional accounting experience and provides tax planning and consulting services to partnerships, corporations, estates and trusts. Working with privately held businesses and their owners, he develops tax plans maximizing cash flow and minimizing tax liabilities. Before pursuing his accounting career, he practiced as an estates and trusts attorney serving individuals and families. Gainesville, Ga.-based Rushton & Company (FY17 net revenue of $4.9 million) has admitted Gail Iverson to the partnership group. She manages periodic financial statements for clients, reviews them and assigns staff members to work with new clients to bring solutions for data processing and their payroll services. Iverson also applies her expertise to tax planning and preparation. Rushton has more than 40 professional staff. In addition to general business operations, Rushton offers financial expertise in a number of specific industry fields such as construction, agribusiness, government, health care, not-for-profit organizations, professional services, manufacturing and distribution. 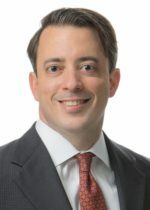 Bauknight Pietras & Stormer (FY17 net revenue of 9.8 million) of Columbia, S.C., announces it has admitted a new professional into its partnership group: Ben Glenn, who joined the firm 14 years ago. The firm now employs 70 people, in part because of growing national expertise in the insurance industry. Glenn represents property and casualty companies and captives from the tax perspective. He consults on the formation of new captive insurance companies, consulting on risk transfer and risk distribution matters key to the formation of a captive insurance enterprise. In addition, his experience includes successfully defending captive insurance companies in IRS examinations and submitting private letter ruling requests to the IRS. 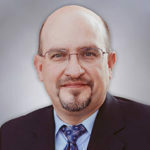 Glenn also advises individuals, corporations and partnerships on tax planning and compliance. 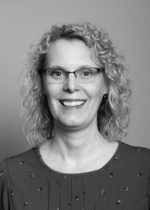 Dennis Gartland & Niergarth (FY17 net revenue of $7.4 million) of Traverse City, Mich., has announced that Trina B. Edwards has been admitted as an audit partner. Edwards joined the firm in 2008 and has 24 years of experience in public accounting, including work with governmental entities such as county, city, township and village audits as well as non-profit entities. A member of DGN’s government/non-profit team, she is experienced auditing many grant funds through a variety of agencies. 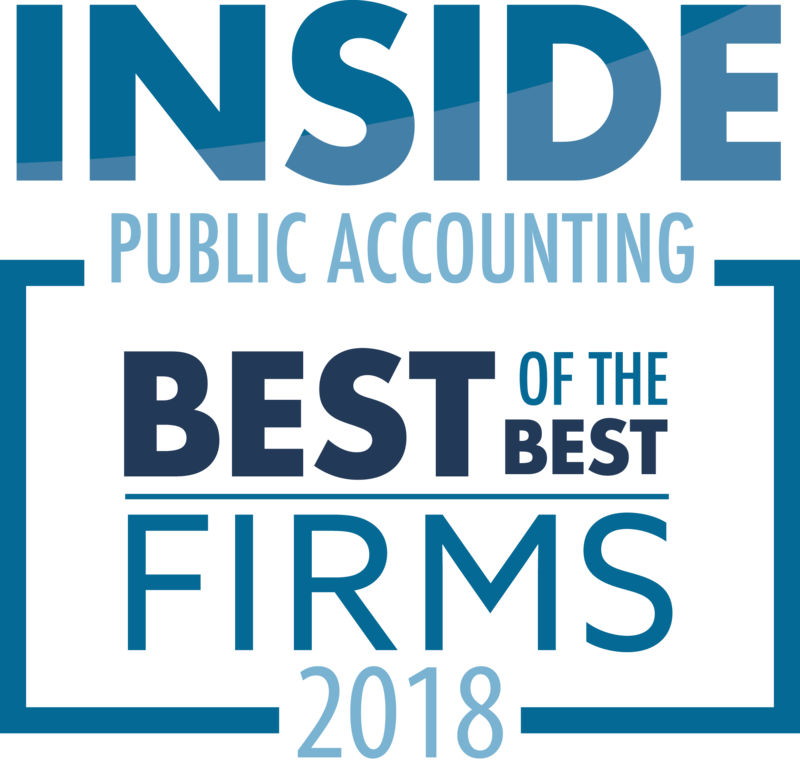 Dennis Gartland & Niergarth is northern Michigan’s largest locally owned, full-service public accounting firm with nearly 50 staff. Bauknight Pietras & Stormer (FY17 net revenue of 9.8 million) of Columbia, S.C., announces that Russell Bauknight has been elected to serve as the firm’s managing shareholder. He succeeds Ken Bauknight, who has served as BPS’ managing shareholder since the firm was established in 1991. During Ken Bauknight’s nearly three decades of service as managing shareholder, BPS has grown to nearly 50 CPAs and a total team of 70. He will continue in his role as a BPS shareholder and client tax advisor. 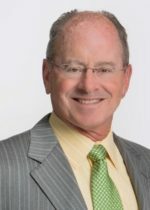 He began his career as an Internal Revenue Service agent in Houston before becoming a senior tax manager with Big Eight global accounting firms Ernst & Whinney and PriceWaterhouse. Russell Bauknight is also one of BPS’ founders and has focused his 28 years with the firm on building the firm’s clientele. Prior to establishing BPS, he was a senior tax manager with Ernst & Young and its predecessor firms, Arthur Young and Clarkson Harden & Gantt. Among his most recognizable clients is the estate of James Brown, the “Godfather of Soul.” He is credited with rebuilding the depleted estate through effective management of Brown’s music library so that it continues to benefit the legendary artist’s charitable and personal interests. Camp Hill, Pa.-based McKonly & Asbury (FY17 net revenue of $9.8 million) announces its acquisition of Brewer & Company LLC and the addition of an office in Bloomsburg, Pa. Owner Daniel Brewer and staff provide tax and business services, with expertise in audit, tax compliance and back-office consulting. Brewer and staff will continue operating from their existing office, and the eight employees will become part of the McKonly & Asbury team. “The additional resources available by being part of a regional accounting and advisory firm will permit us to provide a wider array of services and expertise to our clients and community,” Brewer says. For McKonly & Asbury, the acquisition provides a geographic expansion and new talent to support future growth while providing clients with added depth of services. Camp Hill, Pa.-based McKonly & Asbury (FY17 net revenue of $9.8 million) announces its partnership with Dale Carnegie Mid-Atlantic, a long-standing client of the firm. On Jan. 1, McKonly & Asbury became an owner of the Dale Carnegie Mid-Atlantic franchise, which is recognized consistently as one of the top 10 franchises in the world by Dale Carnegie & Associates. Founded in 1912, Dale Carnegie has evolved from one man’s belief in the power of self-improvement to a performance-based training company with offices in over 85 countries. Dale Carnegie offers programs in leadership, management development, customer engagement, service, sales, communication, and other related programs. Sioux City, Iowa-based Williams & Company (FY17 net revenue of $8 million) with five offices in Iowa and one in Yankton, S.D., announced the acquisition of Nelson Gayer Versteeg CPAs (NGV) of Estherville, Iowa, the Sioux City Journal reports. The entire NGV staff will be joining the Williams & Company team. Danny Dekker, a manager in the Spencer, Iowa, office, will be leading the Estherville location. 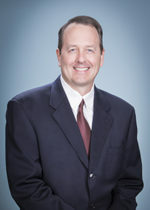 Dekker has been with Williams & Company since June 2007. Camp Hill, Pa.-based McKonly & Asbury (FY17 net revenue of $9.8 million) announces that Elizabeth Harriger has been admitted into the partnership. 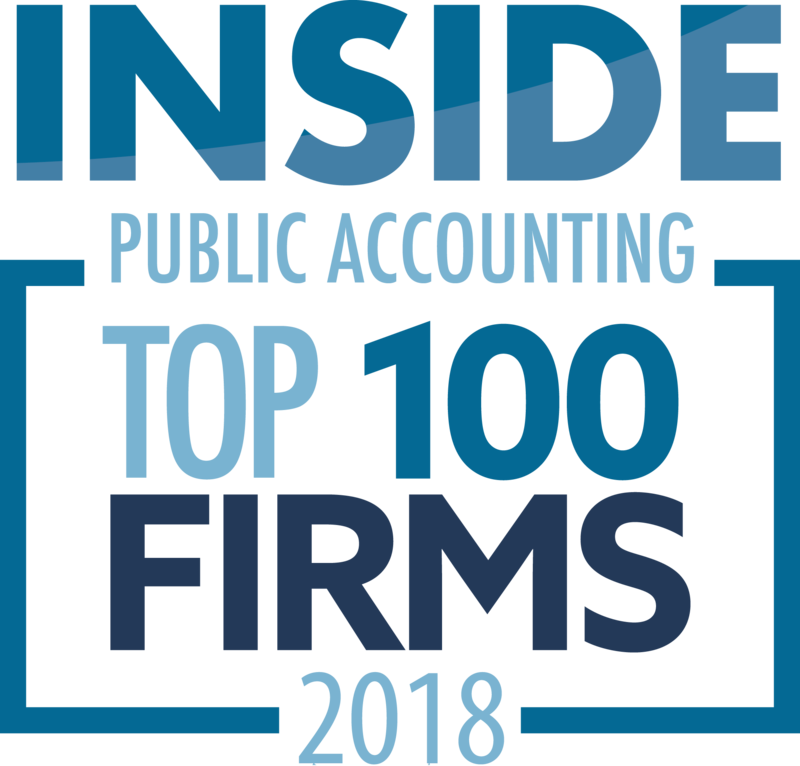 “Our focus on people continues to be the vision that drives our culture, and we are fortunate to have some of the best and brightest talent in Pennsylvania working for us,” the firm says in a statement. 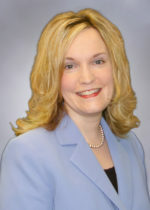 Harriger joined McKonly & Asbury in 1996. She is the director of the affordable housing practice. With over 20 years of extensive audit, tax and consulting experience in the low-income housing tax credit industry, she leads the firm’s affordable housing team in tax and consulting. She provides technical review and consultation for affordable housing audits. She also provides low-income housing tax credit training to clients and other organizations. View the list of the INSIDE Public Accounting (IPA) 400 firms. Subscribe to the IPA newsletter to receive the upcoming benchmarking analyses and in-depth interviews with key leaders within the profession. IPA offers a complimentary news source, the IPA Insider E-News Update. Sign up online. 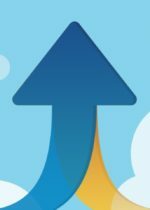 Order any of the 2018 IPA benchmarking products, including the IPA National Benchmarking Report, to gain insider strategies.